Early in the 20th Century, a plane was flying over the Peruvian desert seeing the dull pale sameness of the rocks and sand, suddenly the landscape took on a different form with lines and shapes coming into view. The discovery has made Nazca one of the most visited places in Peru and today there are very many and varied Nazca Lines Theories. What are the Nazca Lines Peru you may ask? 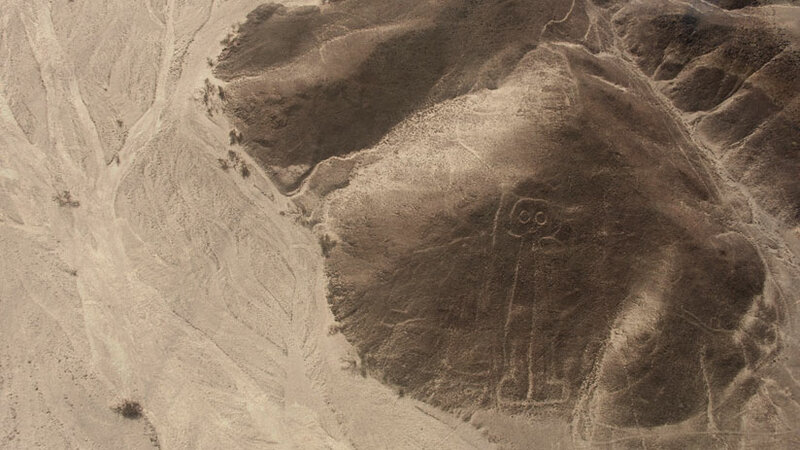 The lines are a series of geoglyphs drawn in the desert just outside of the town of Nazca just south of Lima. On a flight over the lines, you will see geometric designs, trapezoids, straight lines, rectangles, triangles and the most famous distinct shapes of a hummingbird, a spider and a monkey. In total, there are over 800 straight lines, 300 geometric figures and 70 animal and plant designs. How were the Nazca Lines made? The desert floor is covered with a red-colored rock, so when 15 inches of the rock was removed you were left with a light colored rock base. The lines have survived for hundreds of years because of the climate of the Peruvian desert. The warm and dry climate helps to preserve the site with no annual rainfall. Scientist believe that the majority of the lines were made by the Nazca people who lived in the area from around AD 1 to 700. Nobody really knows why the lines were built and there are many Nazca Lines Theories some of which are a little ridiculous and some are more believable. 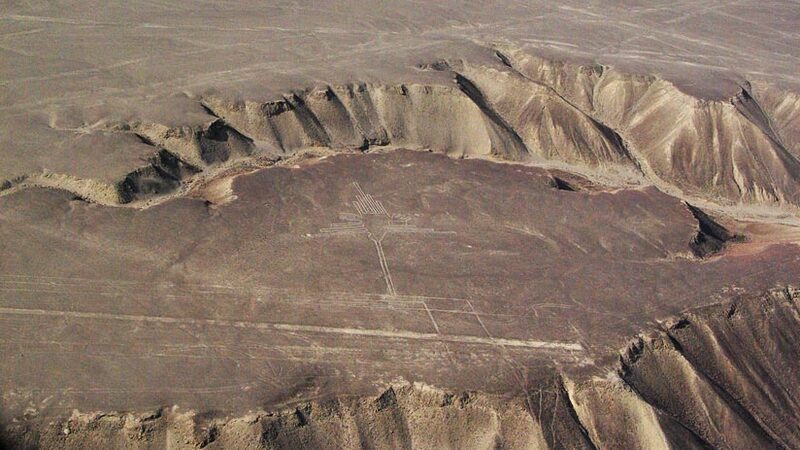 One of the first theories to come out of Nazca was from a Swiss archaeologist names Erich von Daniken, who concluded that the drawings were made by aliens who used the lines as landing tracks. To some this may seem a little crazy but there were many people who believed this, made more believable by the presence of the Astronaut that is one of the figures of the Nazca Lines. The theory most accepted by scientists is that the lines were a calendar. According to Maria Reiche, a German woman who spent her life studying the lines, the drawings are a schedule and map; the countless lines that cross the desert in all directions were used to observe the movements of the Sun and the Moon. This method was used by the Nazca People could predict the change of seasons that helped them with their agriculture. Some of the lines indicate the direction in which the seasonal constellation can be seen. There are some strong objections to this theory. Another theories state that the answer to the Nazca lines mystery lies in the pottery of the Nazca people. These masterpieces of the ancient civilization are characterized by bright colors. All the drawings of the Nazca Lines are represented in the pottery giving credit to the theory that the lines were in some way used for agricultural purposes. The meaning of the Nazca drawings and the need for water would be another possibility. The drawings were made by a single line without breaks that could have served as water channels. Although these days the El Nino effect causes many problems in the world the Nazca people knew of its existence and planed for the rains that came every seven years that gave life giving water. The Nazca Lines of Peru remain one of history´s most fascinating mysteries. There have been many theories none of which have been proven. Who designed and constructed the lines and why? How was it possible to make such accurate, large scale drawing on the ground without using an airplane to check from height? All these questions remain unresolved. The Reiche astronomy theories held true until the 1970s when a group of America researchers arrived in Nazca to study the lines. 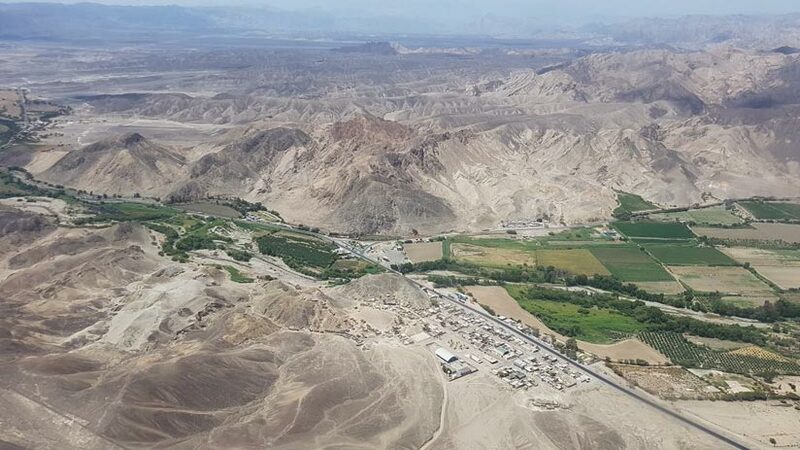 After studying the lines, they began to doubt the Reiche astronomy theory and concluded that the lines were used by the Nazca People for water purposes as the area receives around 20 minutes of rain every year. 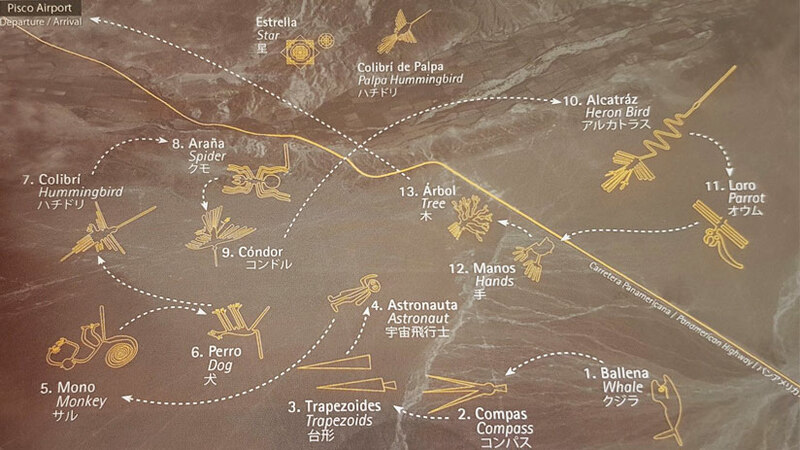 You may be asking what is the best way to see the Nazca Lines. The best way by far is to take a flight over the lines in a small aircraft. 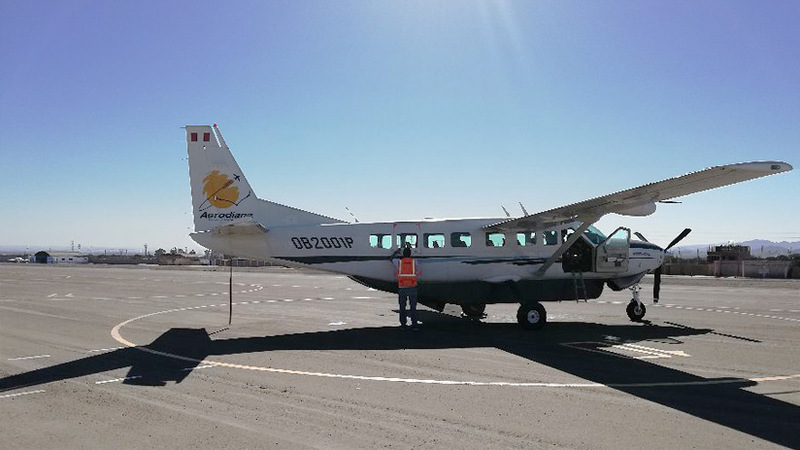 Flights leave every morning from a small airport just outside of Nazca, the flight take around 30 to 45 minutes and the pilot will circle around and to give you the best views. It is best to go early as in the afternoon the wind sweeps the desert making flying uncomfortable. 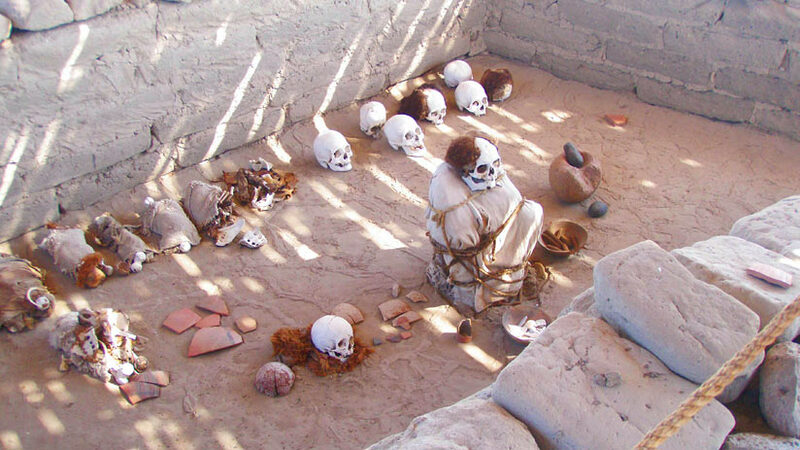 There are other attractions in the Nazca area to visit, do not miss the Cemetery of Chauchilla, here you will see preserved mummies from the Nazca Culture. One of the American researchers concluded: No single evaluations proves a theory about the lines, but combination of archeology, ethno history and anthropology builds a solid case. 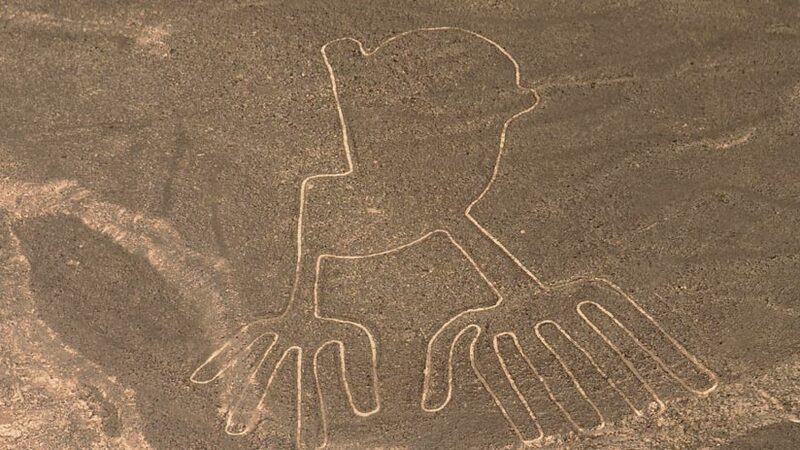 Make sure to visit the mysterious Nazca Lines on your Peruvian vacation. Peru Activities, Travel To Peru adventure, culture, history. permalink.